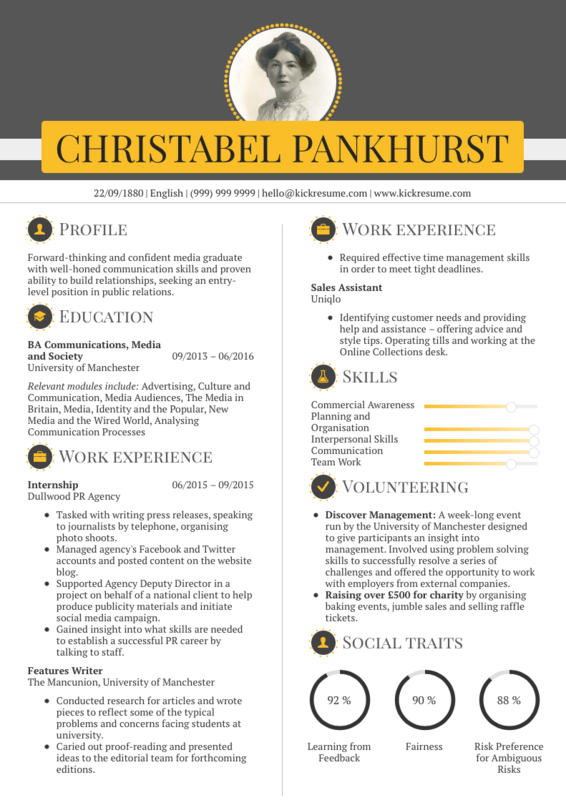 If one look is worth a thousand words, then one resume example is worth at least two articles about resumes. Having this proverbial truth in mind, we’ve decided to help all students save some time reading. You can often find nigh universal truths in Beyoncé’s songs, one of them being: ”Don’t bore me, show me.” Show, don’t tell. A look is worth a thousand words. Yet, when it comes to most resumes, they’re incredibly boring to read. This might be one of the reasons why recruiters usually only spend about 6 seconds on each resume before they move on to another. There’s simply nothing there to immediately catch their attention. Yet, if you want to get hired you need to make them pay attention for a bit longer than that. If you were a seasoned professional, you’d achieve that by simply listing your previous accomplishments and hoping they’re impressive enough. As a student, however, you need to be a bit more creative than that. Fortunately, there are still many tools at your disposal you can use to stand out too. 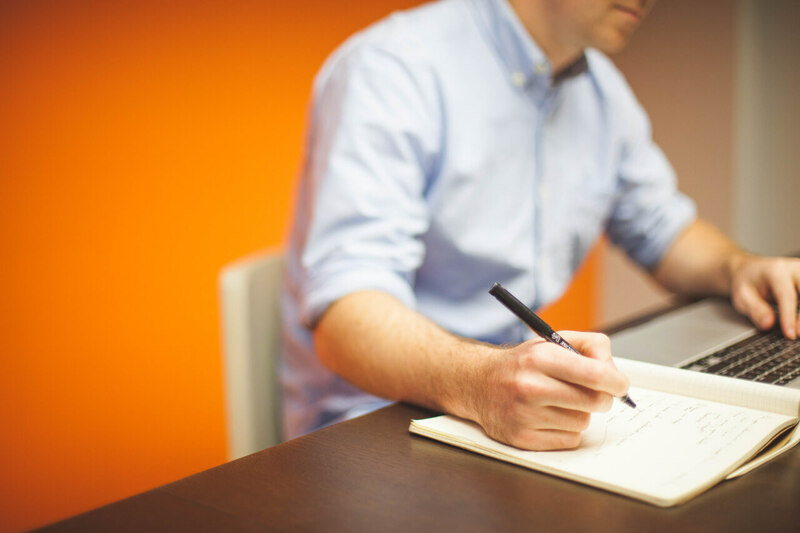 When you take a look at the resume samples below, you’ll notice how each of them succeeds in articulating even seemingly unimpressive work experiences. How you formulate it really matters. 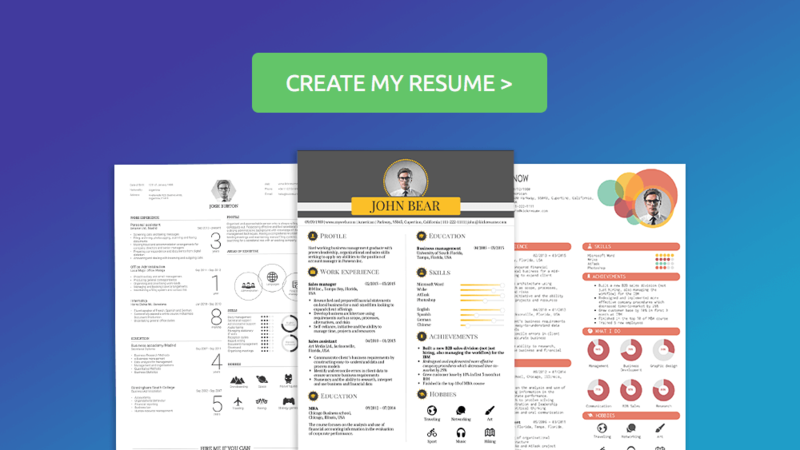 Moreover, all of these student resume samples stand out thanks to their striking visuals. But enough talking. See for yourself! 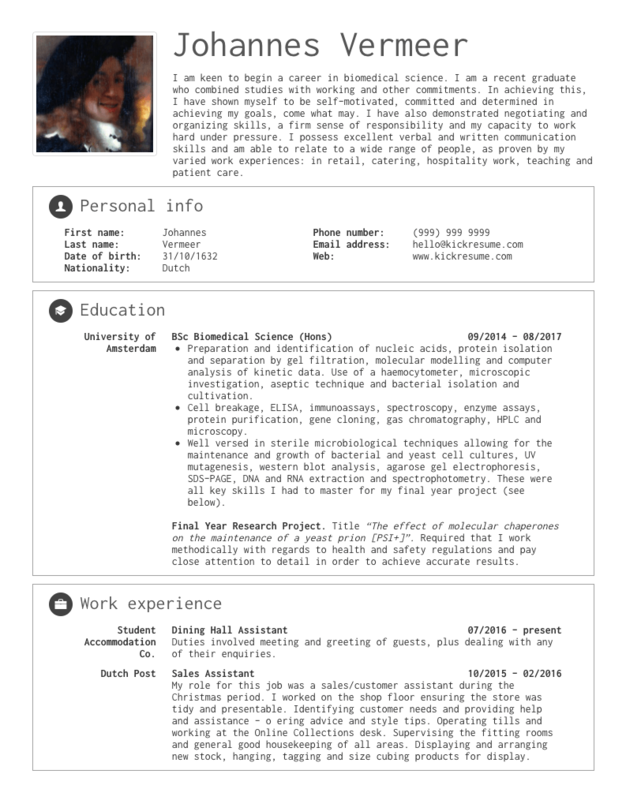 As a fresh graduate who’s looking for a job in biomedical science, you want your resume to revolve around your academic accomplishments. For this reason, the exhaustive education section dominates our biomedicine student resume sample. This candidate did no internships to support his candidacy, which is why he decided to list even unrelated work experience. If you were not fortunate enough to work in a job related to your field yet, don’t be afraid to do that too. It gives employers insight into what you were doing with your time during your studies. 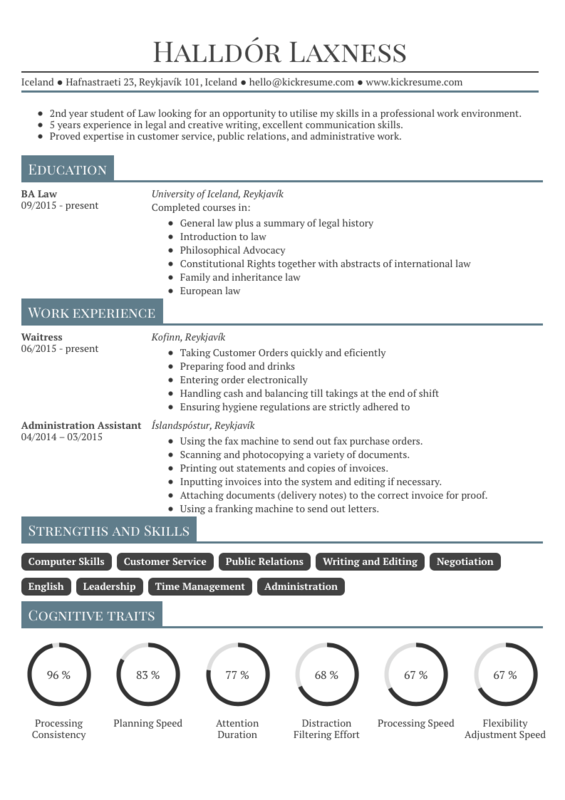 This Law internship resume sample opens with a clear resume summary which gives a target company all the information they might want from the get-go. Since the resume is written for a legal internship, included waiting experience jokingly refers to interns often being mere glorified coffee makers. Still, what this candidate communicates clearly is that if he was to get the internship, he’d take care of anything a law firm would throw at him. If you’re applying for a graduate programme, you need to be as exhaustive in describing your previous education as possible. Our Physics student resume is a great example of that. It skips the work experience section entirely and focuses on what matters — academic achievements, hard skills and other qualities necessary for further graduate study. Besides, notice how no accomplishment is deemed too small or insignificant as long as it supports the candidacy. When you’re looking for a summer job, make sure you describe your previous job experiences in sufficient detail. Although the bar isn’t set too high, you still want to look competent and hard-working. 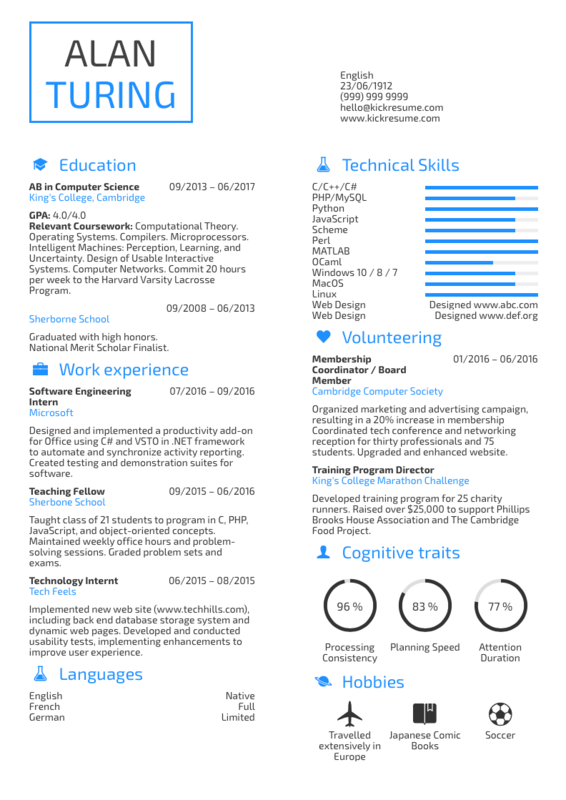 Sometimes it can be also useful to explain your current situation in your profile section in the way our resume example does it. Moreover, in the case of summer job applications, the 6 second rule doesn’t apply as strictly. The more information you provide the better. Any entry-level public relations job requires a wide range of indispensable soft skills. For this reason, our student resume sample underlines the candidate’s excellent written and oral communication, organisational, administrative, and project management skills. The resume sample also explains how these skills were acquired. Notice how some keywords for the position are written in bold in order to immediately bring the reader’s attention to the most important parts. If you’re a recent pharmacy graduate, the chances are you already have at least some experience to put on your resume. After all, internships and placements are commonly a part of pharmaceutical education programmes. 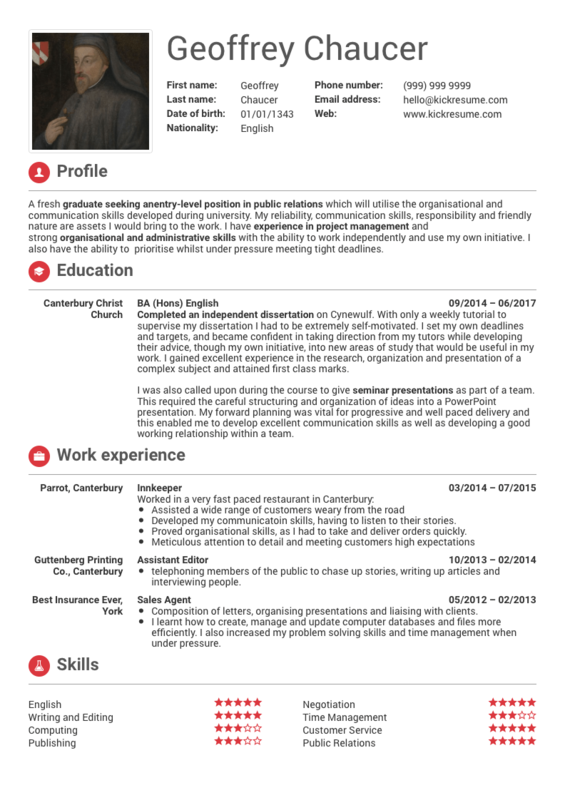 Our student resume example describes both the education and placements in excruciating detail. It doesn’t list responsibilities. Instead, it accentuates acquired experience and skills (assisted, learned, achieved…), making the resume much more impactful. 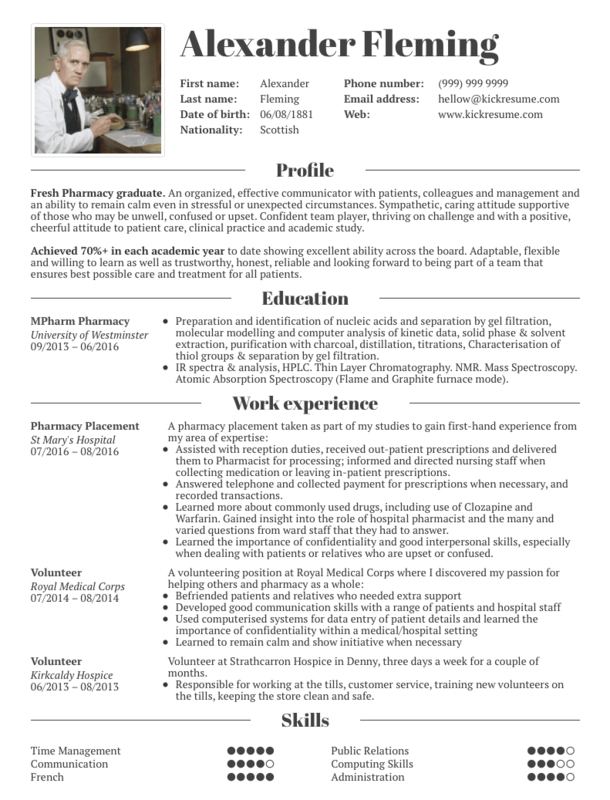 Finally, the resume example also doesn’t forget about the interpersonal dimension of pharmaceutical work. Related volunteering experience is a great way of demonstrating the soft skills necessary for a position. In the IT industry, what matters the most are your demonstrable skills. 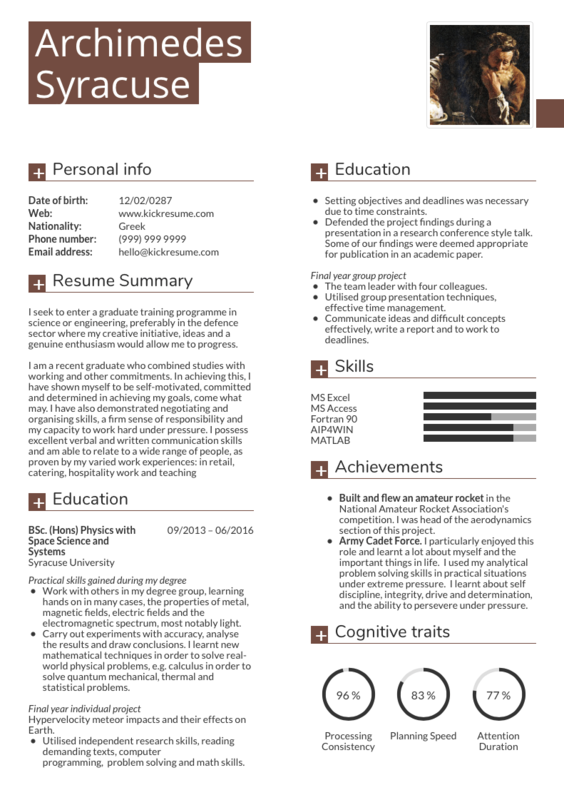 For this reason, a visually striking skills section dominates our IT student resume sample. Other sections follow one simple rule: “Show them what you delivered.” Employers are not interested in what you were supposed to do. They want to know whether you’re an effective problem-solver. As an IT engineer, you want to show what difficult problems were you able to solve in the pas. 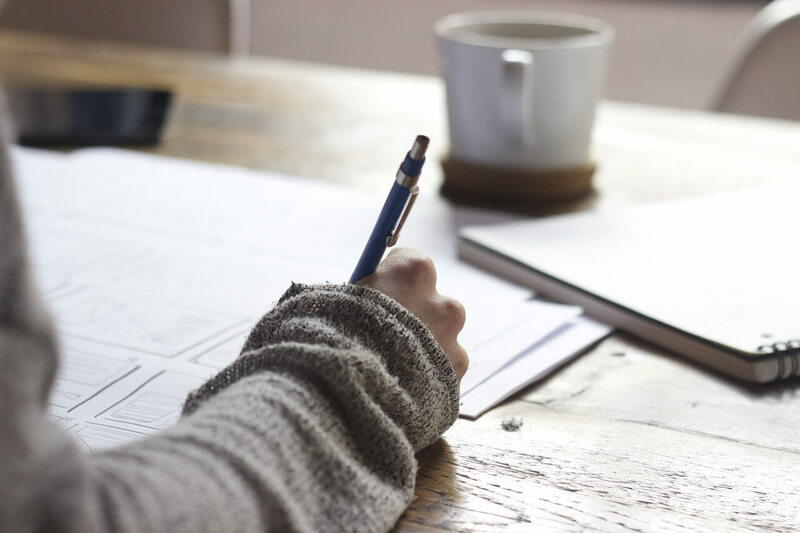 As a candidate for an entry-level position in public relations, don’t be afraid to include any experiences that required clear and effective communication on your part. If you did any internships during college, describe your work activities in a great detail. Even small things, like a student fundraiser you organised, can be used effectively to support your candidacy. 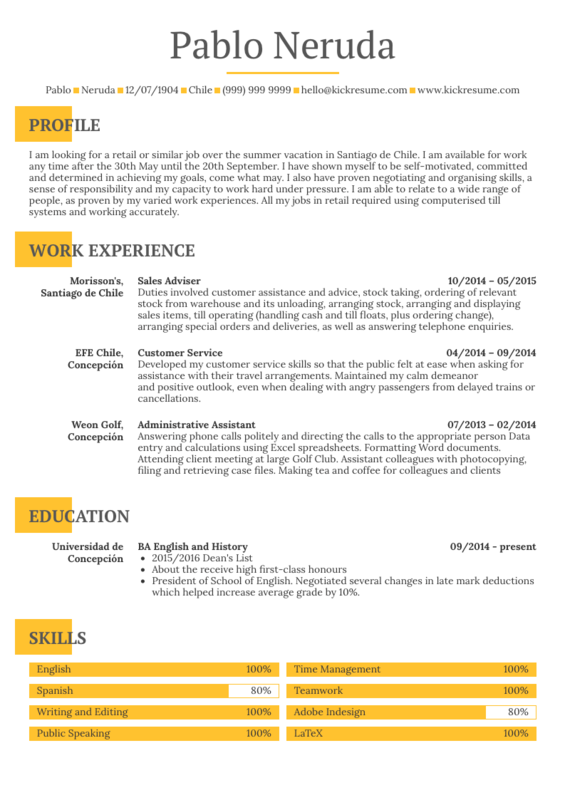 Our student resume example does just that. Publishing includes a wide variety of roles from marketing through design to editing. Before you start writing your resume, make sure you know which of these roles are you applying for. 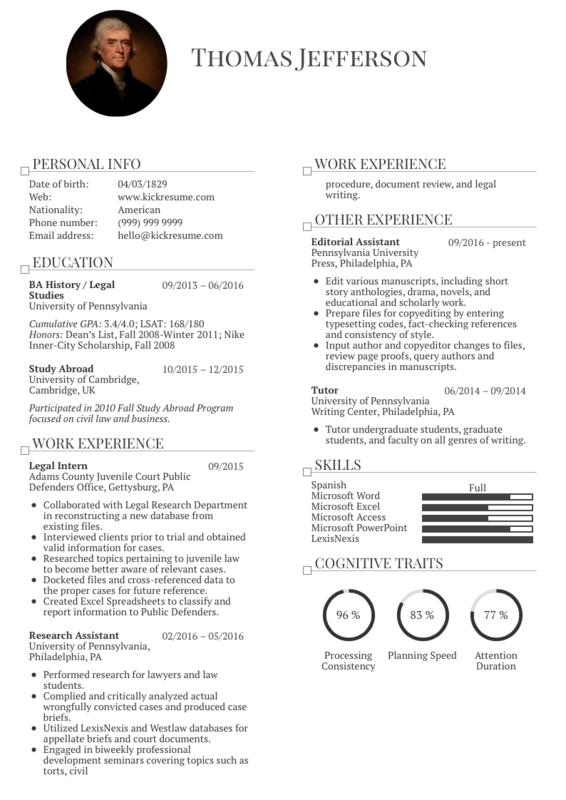 Our student resume sample is written for an editorial assistant position which requires a good mix of writing, editing, and administrative skills. When you’re apply for a legal position, you should always consider your target audience. Are you writing to a law firm, small non-profit organisation, large government agency, or a judge? Each of these requires a slightly different approach. Do your research and determine which skills and projects you should emphasise to succeed. For example, is your research most important? Or do you emphasise your communication and negotiation? 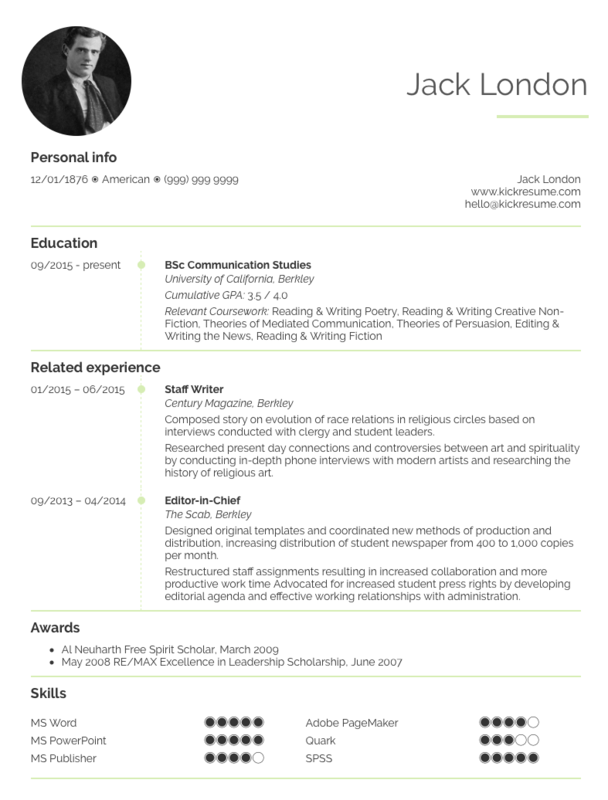 Our resume example is written for a research-orientated candidate at a non-profit organisation.